Killed in his bed by a carbon monoxide leak… from the house next door: Doctors fear danger gas is triggering heart attacks, brain damage and strokes. The moment Stacey Rodgers stepped into her ten-year-old son Dominic’s bedroom one cold morning, she knew immediately that something was terribly wrong. ‘Dominic was usually up before me, keen to get to school, but that morning there wasn’t a sound’ Stacey, 36, from Huddersfield, West Yorkshire. The previous evening Dominic, a keen footballer with a cheeky smile, had been watching TV and playing on his PlayStation when Stacey popped her head round the door to say goodnight. He had seemed his normal self – but that morning he was lying with his face to the wall and didn’t stir when she called him. ‘I thought he was joking at first but I went to touch him and he felt frozen,’ she recalls. With her heart hammering, Stacey called an ambulance and her mum. Within minutes paramedics arrived. Stacey, who was 27 at the time, then received the awful news that Dominic – her only child – was dead. ‘When an ambulanceman came downstairs and started to say, “I’m sorry…” I just said, “I know”. We were so close – I was just devastated. Overcome with grief, she couldn’t understand why Dominic had died. The paramedics mentioned that gas could be involved and told her she couldn’t return to her home. Then later that afternoon the coroner’s office called to say blood tests had shown carbon monoxide in Dominic’s bloodstream. Carbon monoxide is a poisonous gas produced when fossil fuels, including gas, oil and solid fuels, don’t burn properly because appliances are faulty or poorly ventilated. So instead of combining with oxygen to make water vapour and carbon dioxide, the gas creates soot and carbon monoxide. Cases peak in winter when the heating is on and doors and windows are closed. It doesn’t have to come from your own house to be lethal. 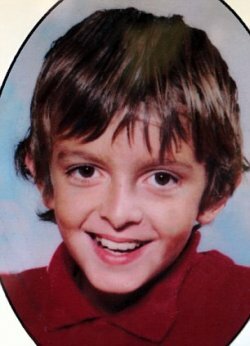 For, as the inquest into Dominic’s death heard, carbon monoxide had leaked from a faulty boiler in a neighbouring house. 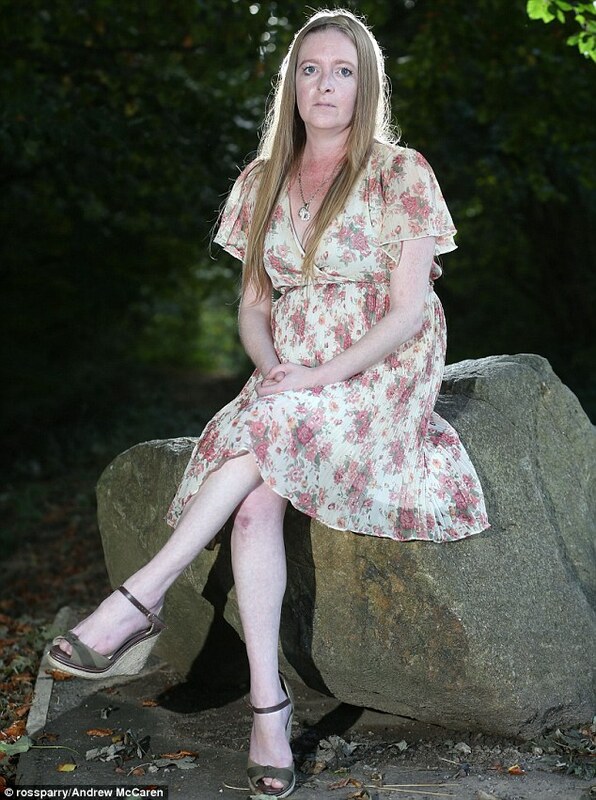 ‘When I found out I was furious – I’d looked after my home and my son,’ says Stacey. Each year, at least 4,000 people are treated in hospital for the effects of breathing in carbon monoxide and around 40 Britons die, according to the Department of Health. However, there is growing evidence that official figures for carbon monoxide deaths are too low: in France, which has a similar size population, around 100 carbon monoxide deaths are recorded each year, making it the largest cause of death by accidental poisoning. When carbon monoxide is breathed in, it displaces oxygen from the bloodstream. As a result, healthy tissue starts to die and the brain and heart can’t function properly. If just 0.5 per cent of the air we inhale is carbon monoxide, it can be fatal within a minute or two, according to the Health Protection Agency. ‘People can be exposed to different levels of carbon monoxide and respond differently, but some develop long-term problems without anyone ever determining that it was carbon monoxide that caused them,’ says Dr Hicks. At lower doses it can cause long-term health complaints such as headaches or heart failure (because the lack of oxygen makes the heart work harder) – these often go unlinked to carbon monoxide. ‘Prolonged exposure over time can cause coronary heart disease, angina and heart attack,’ says Dr Hicks. ‘It can also cause brain damage, causing confusion, memory and co-ordination problems; or it can cause problems in pregnancy, including low birth weight and stillbirth. Sometimes the symptoms may be confused with a viral infection – even by doctors. The carbon monoxide that killed Dominic was thought to have built up to a fatal level in just one evening. After he died, in 2004, Stacey threw herself into campaigning to warn other families. She now runs the Dominic Rodgers Trust, which campaigns to improve gas safety and raise awareness of carbon monoxide. Because you can’t see, smell or taste carbon monoxide, the only way to tell it’s there is a carbon monoxide detector. These are small sealed boxes, like a smoke alarm, that cost about £15. Experts recommend having one in every room with a heating appliance that can emit carbon monoxide, though some people also put them in bedrooms. A recent survey found that 35 million Britons don’t have a carbon monoxide alarm at all. ‘Many people die in their sleep, which is why people should buy audible alarms that will wake them up,’ says Dr Hicks. From October 1 last year, new legislation in Scotland made it compulsory to fit a carbon monoxide alarm when any new fossil-fuelled heating appliance is installed. Alarms are also a legal requirement in new homes in Northern Ireland. Although new appliances are less likely to be faulty, they can cause problems if wrongly installed. But Dr Hicks, and others, want more stringent UK-wide legislation. As well as having a carbon monoxide alarm, checking heating and cooking appliances before winter is vital, say experts. Deaths and hospital admissions peak in winter when appliances are working harder. ‘Appliances can emit carbon monoxide if birds have nested in a chimney and blocked it, or ivy has grown over an external flue,’ says Leigh Greenham, a director of the Council for Gas Detection and Environmental Monitoring, the trade association representing gas detection companies. Elderly people who block vents to prevent draughts, or stay close to a poorly ventilated gas fire, can be at risk – and people with heart or respiratory problems may be vulnerable to lower levels of carbon monoxide. Stacey was so devastated by Dominic’s death that she has never returned to the house where he died. ‘I didn’t even want the furniture,’ she says. ‘It changed my life totally. If I’d had any other children I’d be paranoid – how could I put a baby or child to bed knowing what happened to Dominic? ‘Now people come up to me in the street to say they heard me speak and bought a detector, which went off – so warning them saved their lives.